Ladies and gentleman.....raise your glasses as we toast @EricVanDerek. A perfect example of living the FIFA dream. A man who started at the bottom but through sheer hard work and determination has proved the doubters wrong. A true rags to riches story. Look forward to Hollywood blockbuster that will surely follow. My WL was a mixed bag. Started of very slowly trying to adapt to new patch. Sitting on P22 W8 L14 on Saturday but a run of 7 wins in a row took me to G3. Feel the new patch is an improvement. Lucky if I conceded 5 finesse goals all weekend. The passing feels like it’s been tweaked. My passing was usually around 90% but am now struggling to get 80%. Not complaining as this stops all the ping pong passers out there. Superb results guys. Please don’t get to good ......I don’t want to be left on this thread all by myself. Congratulations guys to your strong finishes!! Game 28: Scored early in the game around the 10th minute and had a good chance to extend my lead to two goals, but my shot from 10 yard hit the post. Despite dominating the game with 62% possession, I only end the half with one goal lead. Early in the second half I hit the post again, then the momentum completely changed afterward and I couldn't even hold the ball. Eventually my opponent scored an outside the box finesse to even things out...absolutely hate this!! In overtime I managed to score twice in the first half, but in the second half my guys were out of control again and my opponent scored twice with his loan icon, including a goal at the 120th minute. WTF!! During the penalty shoot out I could only score three times in five rounds, but surprisingly that was enough to win the game. Mentally exhausted afterward. Ok, one more win to go. Game 29: Got a good 3-0 lead after only 36 minutes of game time. Prayed that my opponent would rage quit, which he didn't, and things started to go downhill again. Mrs. wanted to chat during the game, wanted to show me pictures on her phone, stood between me and the tv screen for couple seconds, turned off the light as she headed out the living room, etc...Come on! How come the ladies can never understand we need 100% concentration when playing games online!!?? As I battled these external factors, my opponent scored in the 39th minute and again at the 63th minute to close the gap to 3-2...Before things got out of hand and drove myself crazy I finally regained some quite time to focus on the game. I found the net again at the 67th minute to stop the bleeding and added another one late in the game to put the game to rest at 5-2. Similar to previous weeks, got G3 at the end but needed to play almost all 30 games...Hope EA will permanently extend every WL by a day. To me, somehow the closer it gets to the WL expire time, the better my odds in winning a game. 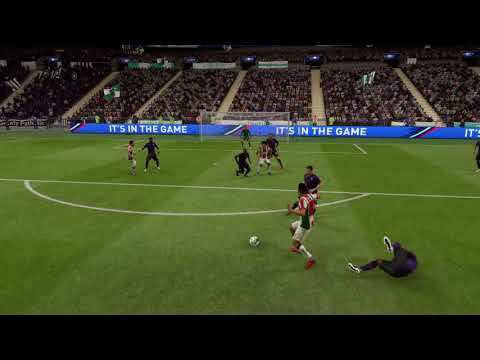 But this "shifting game mechanic" when you're ahead (or are facing a kick-off or it's the last minute) is by far the worst aspect of this game, and it amazes me that EA thinks this game is eSports ready. 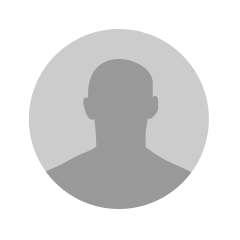 I (or my opponent) am being penalised for being good? And it's not just imaginary and in my head, my players definitely start playing worse at this point. Very next game, I dominated the opponent right from the start. I struggled to break down his massed, AI inspired defence, but he only had one long range shot. Best WL result this year. G2. Weird how terrible I was/it felt on sunday. Congratulations to everyone! Great after-patch week for many of us! Finished my WL 17-13 and G2 in last game. Hard week: good start 6-2 in Friday (but ok against 7- BPL teams that costs less then my Makelele). And each team has Valencia and D.Sanchez - it is a joke. Late night friday was terrible - 2-5 against all coloured teams and slow gameplay. Sunday evening 4-1 very fast gameplay and my team helps me against good players. Monday... 5-5 and it was hard. Only 3 cheap teams and 2 disconects with no win-lose for both against this cheap teams when I was ready take 2 wins. So 9 solid-teams in 10 matches, 3 penalty lotterey (2-1), a lot of 45 and 90 minutes goals, a lot of kick-off goals and few pre-patched moments against me: finess from 160 angle from Vardy, timed 35m screemer from Gatusso (65 long shots), and 3 rebound-goals from Sheva in one half. PS: any suggestions for LM|LW who will be great LCAM? I want to change my untrade CL Martial (717 games in club) but he is better then Hazard, loan 92-Vinicius, loan TOTY Neymar. I understand that something wrong with me or I need time to taste this expensive cards but.... no they dont feels for there coins. I'm more and more inclined to buy CR7 and use him with 6 chem at this position and not replace my NIF KDB. G2 finish. I got Kagawa (of course) and Donnarumma. Kagawa actually popped up twice, but he was the highest on my first pick so can go to a SBC. I wonder if Donna is good enough for me to sell DDG. He'd be on 10 chem because I use Baresi. 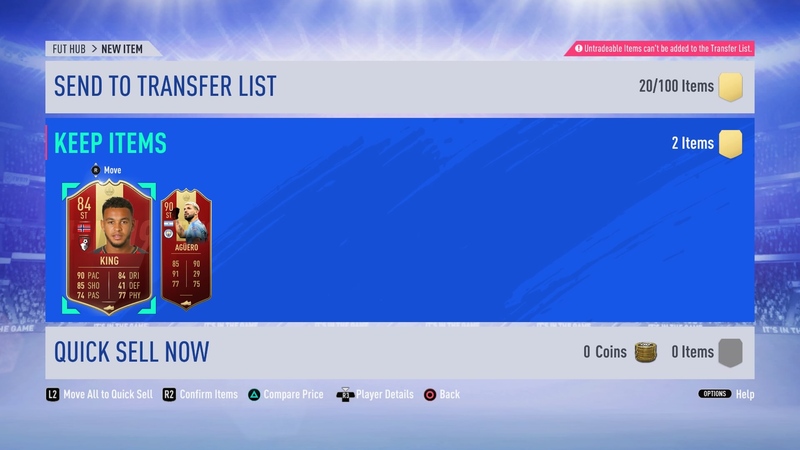 My 100k packs did not have anything, mind boggling how people spend £20 a pop on those things. I rinsed all of the cards through player pick sbc and got Azpi & Buffon which is nice. Yeah, I don't get it either. The game cost me £20 and even getting it for cheap, that's all I'll ever spend on it. Imagine paying at tens or even hundreds, as some people do, just for the slim chance you get to play with a certain player for the limited time the game's worth playing. I don't blame everyone though. It's like an addiction, and they should really do away for FP. I'm glad I actually bought the game on a different region than I play, so even if I was ever curious in buying, I wouldn't he able to anyway. As mentioned in some threads. I knew I’ll get Orban and immediately after that, I said I’ll get Kagawa. True enough he popped up! I've been using one of the 84 IF Donnaruma (also linked to Baresi) and he's been pretty solid. Think the height is useful for all the crosses. That Kagawa was the first over 83 rated player I'd got in about 15 of the SBCs - I only did it to use some of the duplicate untradeables I'd got from Rivals. Thanks for that, yeah I think I'll keep and see when I can get the most for De Gea. With those coins i should be able to complete Rijkaard. i run a sort of prem team so i chose.....fabregas he was 86!!!! 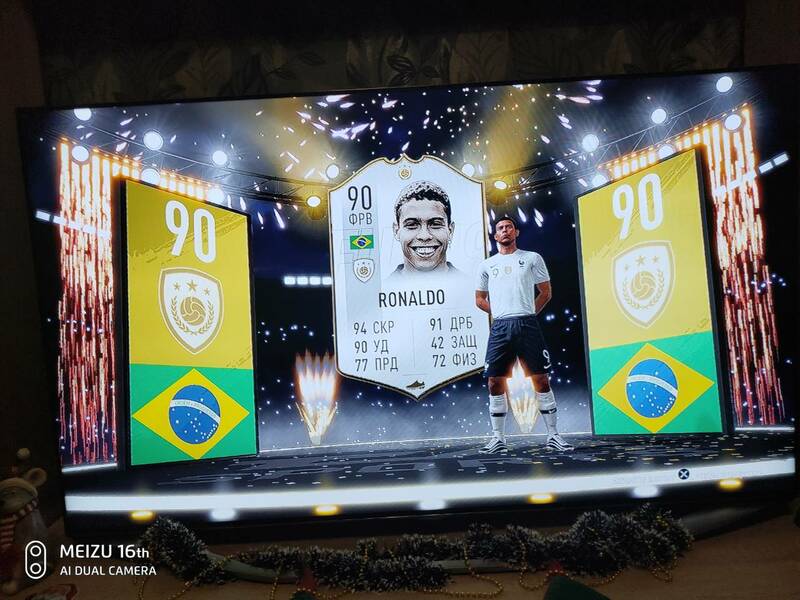 Yes, after my post here February 5, 2019 5:28PM I bought NIF CR7, play with him for 8 games, yesterday opened few saved packs and after El Clasico I packed Ronaldo 90 and today morning - red Cristiano for WL Gold 2. 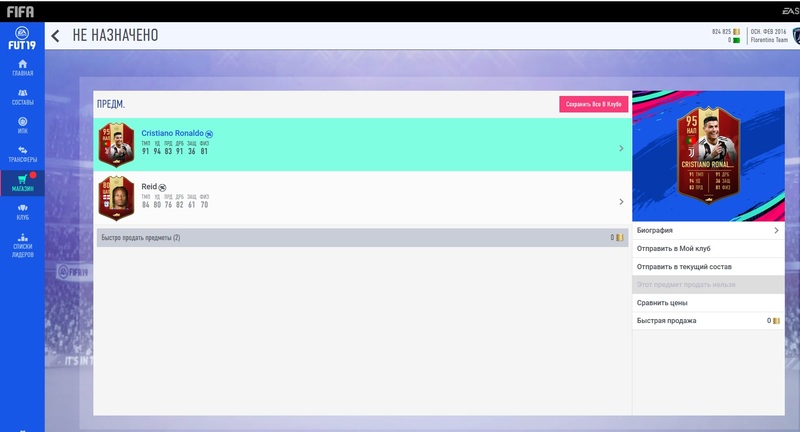 From 250 packs from November was nothing more then 55k for David Silva. @raul7kiev you should go buy a lottery in real life! Hopefully your luck showers down on the rest of us in this group! I've been plugging through various league SBCs over the last few days, just doing all the cheap teams. No real good pulls, a discard MOTM the best. Played very good game against @Mako_Sulu in novice cup. Had some luck and won 2-1. Played two, one win one loss, and it feels like my players are in quicksand. Everything is incredibly unresponsive. Good luck to everyone playing this weekend. No WL for a while for me, didn't play last weekend, visiting parents this weekend and snowboarding in Kazachstan next weekend. Really annoyed Lacazette didn't get POTM, debating trying to do the Rashford SBC but seems quite expensive. Hoarding quite a few high rated players in the hope of an SBC to put them in but not sure what I want...Ronaldinho might be the one when he comes but when that will happen is anyone's guess and I probably need another icon before then.